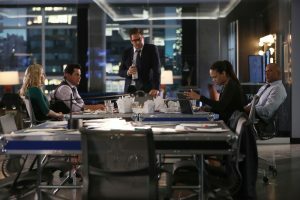 After an uneven second season of CBS’ Bull, one that ended with Jason lying on the steps of the courthouse alone and in pain and calling 911, the doctor of psychology and trial science is back. Let’s see what that means for him and the people who populate his office. It’s time for a status update now that this season three premiere is in the books. Bull is back at work after taking a few months to recover from his acute myocardial infarction. He’s drinking â€” green juices and smoothies instead of martinis. He’s set up a treadmill in his office. He’s avoiding bars by riding around the city in a cab. And, most notably, he’s been out of touch with his friends and coworkers for the entire time he battled back to good health. He did make a new friend while recovering, however. The head of an insurance company. And even though Bull knows everyone in his office would be morally opposed to such a move, he agreed for his company’s services to be put on retainer. A two million dollar paycheck was just too much to pass up. 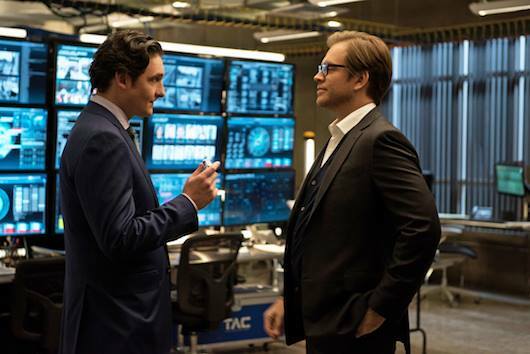 I will say that at the beginning of last season, it felt like Bull’s struggles with money and focusing on it too much was a misstep. In this premiere episode, it didn’t feel as out of place. I knew he would come to his senses. He almost always does. Even though Marshall Hitchcock (The Sopranos and All My Children star Matt Servitto) is seemingly a good guy, insurance companies come off inherently cold and evil. It’s a slimy business. One that could cause someone with a solid moral compass to lose sleep. And in the case of this case, one where Team TAC had to argue against a dying woman in need of a liver, it must have felt a lot like selling your soul. Bull thankfully comes to his senses. I’m thankful for that because this woman suffered. She had cancer and through no fault of her own, she ended up with an apple-sized hole in her liver. Everything worked against her, but this case seemed a no brainer. 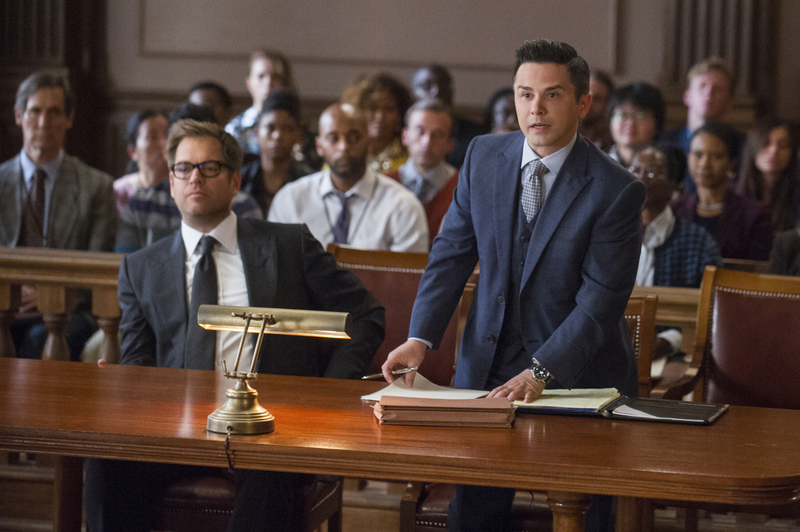 I think everyone â€” including Bull â€” thought the jury would find for her. So it was a complete shock when the verdict came back as finding for the insurance company. Goes to show that trial science isn’t a perfect science. The mirror jury was on red almost the entire time. But this win isn’t a win Jason is comfortable with. He lets Mr. Hitchcock know this and, man, the guy simply gives Bull his first month’s retainer and lets him go, which is cool. It’s awesome the show didn’t turn the insurance company exec into some evil one-dimensional douchebag. I was siding against the guy but I didn’t hate him which is unusual for these procedural-type shows. 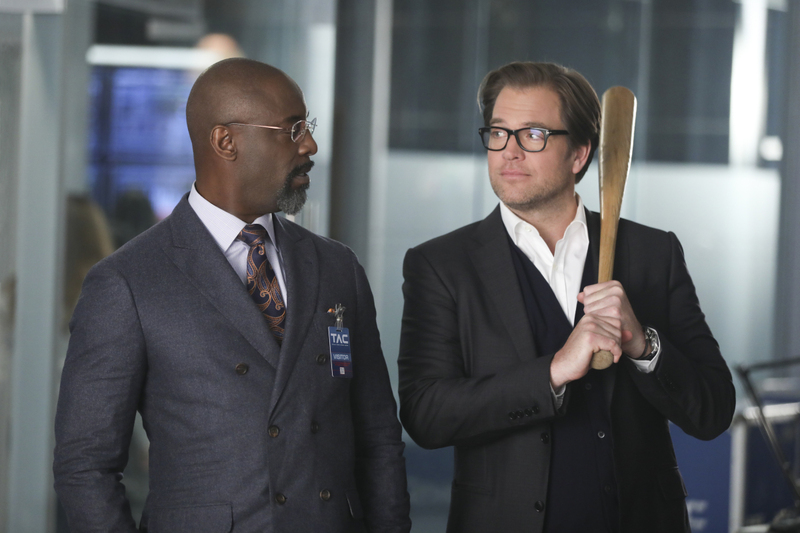 Ultimately, Dr. Bull sacrifices the two million dollar paycheck to the family in need. I think this is completely in line with who Bull is as well. I don’t think the good deed is only as a result of him softening up after his near death experience. I mean, he never even cashed the paycheck. He just signed it over to the Summerfields. It’s like free money. So now the woman will get her 42 extra months of quality time with her husband and kids. Go, Bull. I wasn’t sure whether I should go with Marissa or Cable next, but I decided to go with Cable. When Cable doesn’t show up to work, everyone tries to call her and track her down. Danny ventures to Cable’s apartment where she encounters the apartment manager (Guiding Light‘s E.J. Bonilla) who, I guess is hitting on her? Honestly, I couldn’t really tell. Danny’s also in contact with Cable’s mom. No one knows where she is. The second time Danny goes to her friend’s apartment, she gets the news. That cold open at the beginning where cars and cars of people fall off the damaged bridge and plummet to their deaths in the water? Cable died in that devastatingly horrible way. We knew Annabelle Attanasio (Cable) wasn’t returning to the show, so killing her character off is a way to make her departure work. 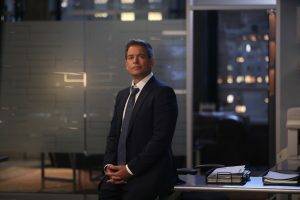 And according to TVLine, Cable’s death is “really the beginning of that mystery, not the ending of it.” So I’m super sad that Attanasio is no longer on Bull, but I’m kind of excited by the mystery that is about to unfold. Well, Marissa had a fruitful three-month break from being in a codependent work/friend relationship with her boss. She got married. To her ex. To her first husband, Greg Valerian (The Man in the High Castle‘s David Furr), to be exact. And I’m not someone who heavily ships Bull and Marissa, but when she tells Bull she’s married, it was a bit hard for me to see. I’m not sure where my feeling comes from. Bull could probably analyze it to death. Maybe I like that they were so codependent in seasons past, I don’t know. But I have always loved their connection and as healthy as this three-month break was for both involved, I am interested to see how they are going to be with each other moving on. It’s already different. He can’t call her at all hours of the day and night. Oh Bull tries. And Marissa understandably wants to be back in bed with her husband. I did like the conversation Bull has with his friend when he admits he’s jealous â€” not in that way â€” he’s jealous of her happiness. It’s just that Bull’s so very alone. No family he interacts with, no love of his life to connect with, he has work. But at work it does feel like he keeps a measured distance from everyone. Even when he arrives at the office after three months away, his smile isn’t completely all there and his hugs are brief. He’s still alone and I hope the show deals with that this season. As for Marissa, I’m so happy for her. She has a life outside of work now. I’m curious as to how her husband is going to deal with Bull’s presence. I don’t think it’s going to be easy. And I still feel like Marissa will struggle with her codependent tendencies when it comes to her boss. I like that she’s not a yes person in his life. She’s not afraid to challenge his beliefs and his actions. Nobody at Team TAC is like that, actually. But I don’t think this Bull/Marissa codependent independence is going to go smoothly, do you? Without Bull, Benny and Team TAC lost two cases. I wonder if we’ll get an episode where that comes back to haunt the firm. I’d like to know more, please. Loved Bull and Danny’s reactions to Cable’s death. They both reacted differently but you could tell they felt her death to their very core. Heartbreaking. 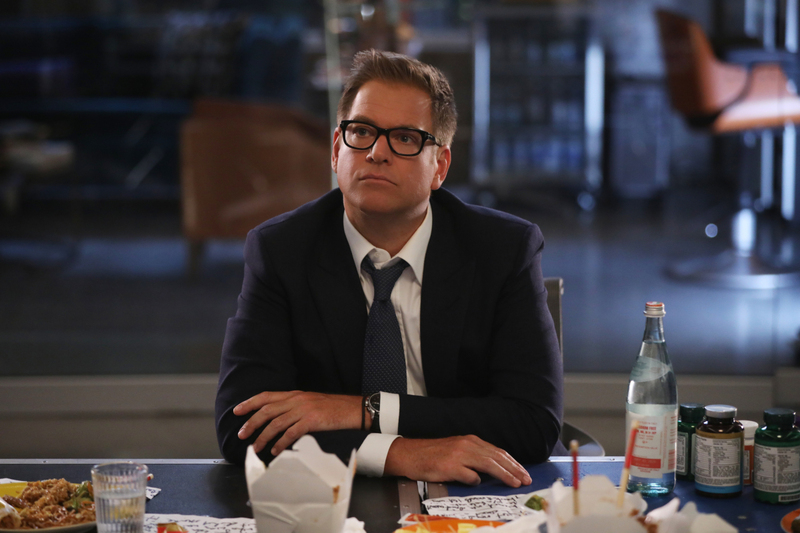 I wonder if we’ll find out how Danny, Benny and Chunk spent the three month-break from Bull..other than work, that is. I really hope Danny gets a big season three arc. I also wonder if we’ll see Diana Lindsay (Jill Flint) this season. I hope so. I miss her. I would love to see Izzy (Yara Martinez) again as well. I mean, she’s married now. 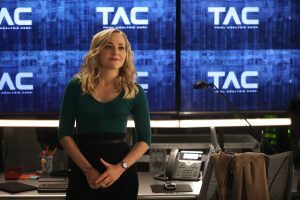 I need to see her and Bull interact. Bull looks in shape and all cleaned up. He looks amazing. Although, part of me hopes that he gets a little bit messed and mussed up as the season progresses. I like a messy Bull. I don’t think he needs to be completely put together. I mean, if he ends up in a field with a cow in his underwear again, I won’t be opposed. I hope this Monday night time slot works for the show. I have faith, but I worry. I really enjoyed the fact that it was on Tuesday nights after NCIS. We’ll see. I’m happy with the way this season started. How about you? 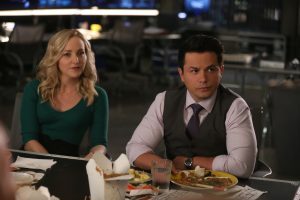 Bull airs Monday nights at 10/9c on CBS.